aluminium expanded metal. this type of panel mainly use for decorative purpose by architect .also use for facade design . Metal Conveyor Belts By Laktas Wire Mesh, We Have Been The Leading Metal Conveyor Belt Manufacturer For Over A Century. Laktas Wire Mesh Conveyor Belts And Chain Driven Conveyor Belts Are Used Worldwide In Industries Such Food Processing, Snack Food, Foundry Baking And Many More. Moving Bread, Biscuits And Other Bakery Products Can Present Some Big Challenges In The Food Industry. Not Only Do You Need To Provide Different Types Of Conveyor Belts At Each Part Of The Production Process, But You Also Need To Ensure That Conveyors Are Sanitary And Suitable For Use With Food. All Items Also Need To Reach Their End Destination In Perfect Condition. Each Of These Factors Calls For Conveyor Belts That Are Expressly Designed For The Bread And Biscuit Industry And Which Satisfy A Range Of Production Requirements. With Commitment To Quality And Excellence, Specializing In Projects, We Work Closely With Our Customers To Meet Their Exact Requirements. There Are Many Factors To Consider When Selecting The Right Bread And Biscuit Conveyor Belt. Whether You Run A Small Bakery Or A Large Baked Goods Production Plant, You’ll Need To Choose The Right Belt Specification To Suit The Products Being Carried And The Size Of Your Operation. The welded wire mesh is a metal wire screen that is made up of low carbon steel wire or stainless steel wire. It is available in various sizes and shapes. It is widely used in agricultural, industrial, transportation, horticultural and food procuring sectors. It is also used in mines, gardening, machine protection and other decorations. Weld mesh is the term given to the kind of barrier fencing that is manufactured in square or rectangular mesh from steel wire, welded at each intersection. Which give strength and increase load bearing capacity of weld mesh panel . 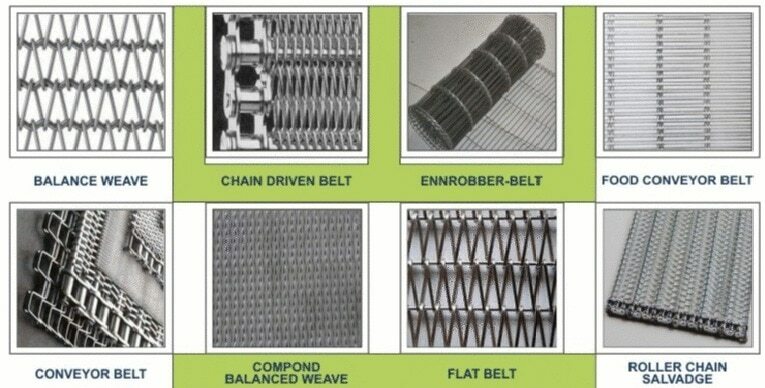 Welded wire fabric is also sometimes used in reinforced concrete, mainly for slabs. Laktas wire mesh pvt ltd is leading weld mesh manufacturer & exporter in Indian market . We offer best welded wire mesh price in India .Welded wire mesh is readily available in roll and panels as per customer requirement . Laktas wire mesh Pvt Ltd make high quality & heavily zinc coated Poultry Cages. We are under process of developing improved designs and can offer solutions catering to your specific requirements.